No plans for the March school holidays yet? Don’t immediately go scrambling for cheap destinations to fly to or resigning yourself to lazy days at home, we’ve got just the idea for you. This calls for a day trip to Johor Bahru! But instead of heading to the same malls you frequent, it’s time to add a little fun to your time in JB and check out all the hidden gems that our neighbouring city has to offer. The HalalZilla team spent a day scoping out the most exciting and wallet-friendly locations that we feel more Singaporeans should discover – and we can promise that these underrated finds will make the trip over absolutely worth it! Whether you’re starting your day off in JB as early as 10am or 5am, Restoran Aliff is always open to roll out some good and fluffy Roti Canai for you. In fact, you can visit any time of the day to get your fix of Malaysian takes on your favourite local dishes like Nasi Lemak and Mee Goreng. Wash it all down with a satisfying glass of Teh Tarik or Milo Dinosaur before you leave with a happy tummy – and wallet. Perhaps the best part about keeping things local in bistros such as Aliff is the inexpensive prices that don’t put a dent in your wallet. 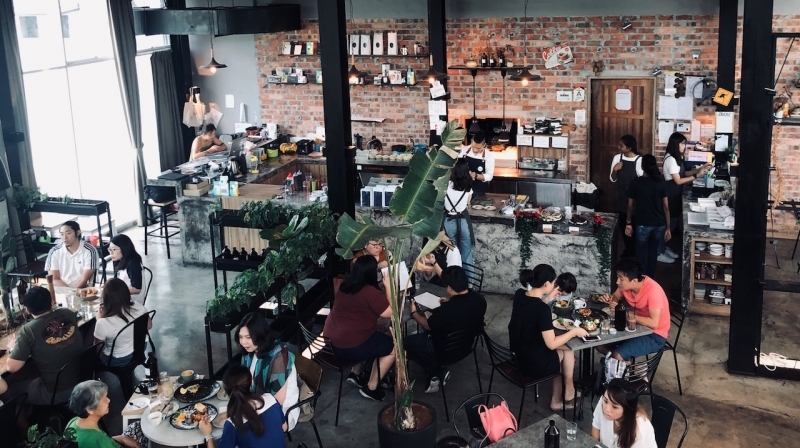 Most JB habitués would be familiar with the JB café lane on Jalan Dhoby, but there are heaps more cafés with unique concepts to be discovered in the Taman Mount Austin district. We made a stop to People & Places Café, a game-changer in the Malaysian brunch scene. A single glance at its greenhouse-esque interior and quirky menu reveal how it’s been deeply influenced by Melbourne’s café culture. 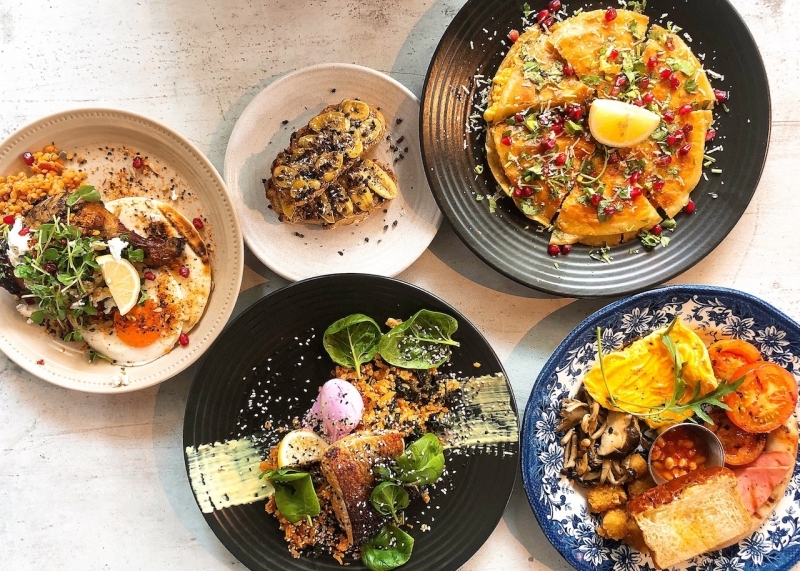 Despite only having been around for slightly over a year, it’s already amassed a large number of fans flocking over for brunch each weekend. Naturally, we wanted to try everything on the menu. Pictured clockwise: Roasted Chicken Leg w Grilled Pita Bread, Roasted Peanut Butter Toasts, Quesadilla Brekkie, Englishman’s Breakfast, Pan Fried Salmon w Kimchi Cauliflower Rice. Quesadilla Brekkie: Fluffy Tomyam scrambled eggs, chicken ham, sliced tomatoes, Alexa’s Sriracha aioli, coriander, and Belgium cheddar cheese sandwiched between tortilla sheets. 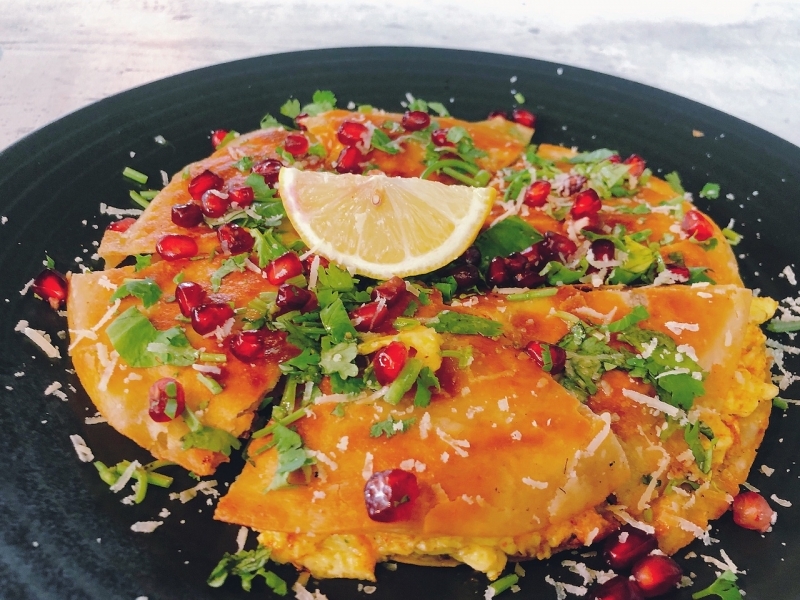 Topped with grated parmesan, pomegranate, and a drizzle of pesto oil. It doesn’t take much to figure out that the Quesadilla Brekkie is a star entrée, with the café’s ‘Lit A.F.’ seal of approval printed next to it. Sure enough, one taste is enough to leave you addicted – the tomyam flavour and sprinkling of pomegranate on top truly add an extra something to this unique tortilla concoction. 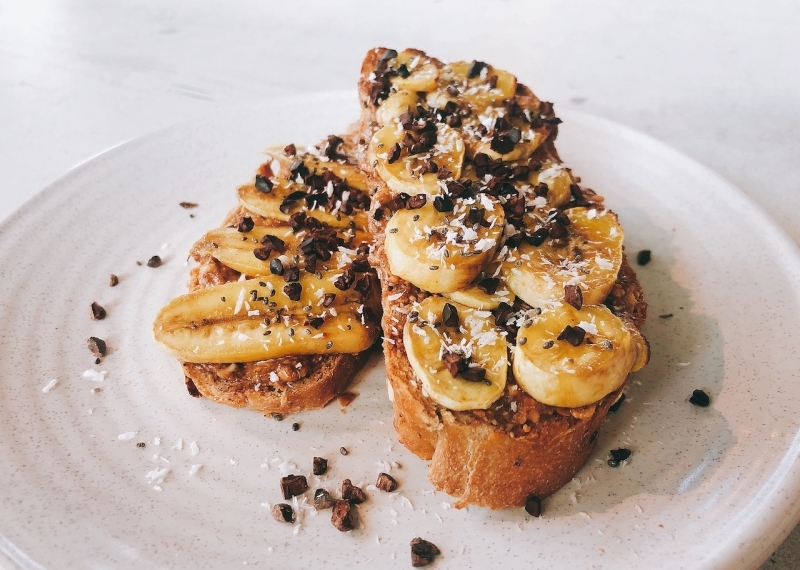 Roasted Peanut Butter Toasts: Alexa’s signature roasted peanut butter on muesli bread topped w sliced banana, cacao nibs, chia seeds & desiccated coconut. If you’re more of a sweet brekkie kind of person, some Roasted Peanut Butter Toasts at P&P will do just the trick! You won’t get the peanut butter here anywhere else, and if you’re curious to know just who Alexa is, ask any of the café’s friendly staff, or maybe even the owner Soon (picking him out from the crowd won’t be hard; he definitely looks the part). Note: This cafe is not halal-certified. Do dine at your own discretion. In the midst of all that feasting, keep your body moving at XPark Sunway Iskandar, your one-stop destination for all things active. XPark has other established outlets around Malaysia such as in Selangor and Port Dickson, but this new Sunway Iskandar instalment is the closest it’s ever been to Singapore! A short drive over to Nusajaya will take you to a sophisticated recreation ground that visitors of all ages can enjoy. 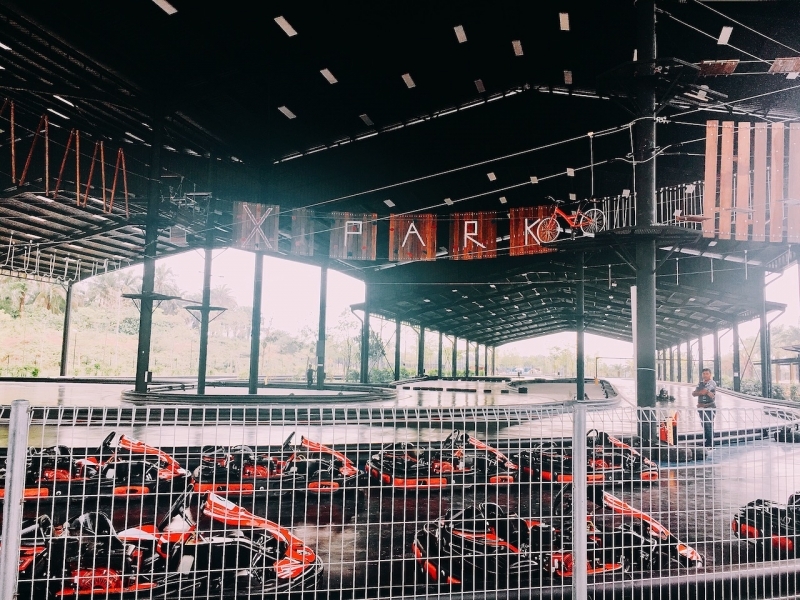 Having soft-launched on 29 December 2018, brand new facilities namely the go-kart, high elements, ATV, futsal and badminton courts await you at XPark! In works are other thrilling attractions such as paintball, various water activities, a driving range, and perhaps even a BMX racing track?! Head over to XPark even before its official launch, so that you can have a blast at all these activities before everyone else! After sweating it out, it’s time to freshen up with some sweet delights. Emack & Bolio’s makes their ice cream more interesting by adding fun toppings that you can choose from! Oreo Marshmallow, Coco Pops or Rice Krispies, you name it, you can add it to your ice cream for an extra special treat. This American chain has many international stores across Asia, with the exception of Singapore. However, there’s no need to feel the #FOMO when you can just try it in JB! 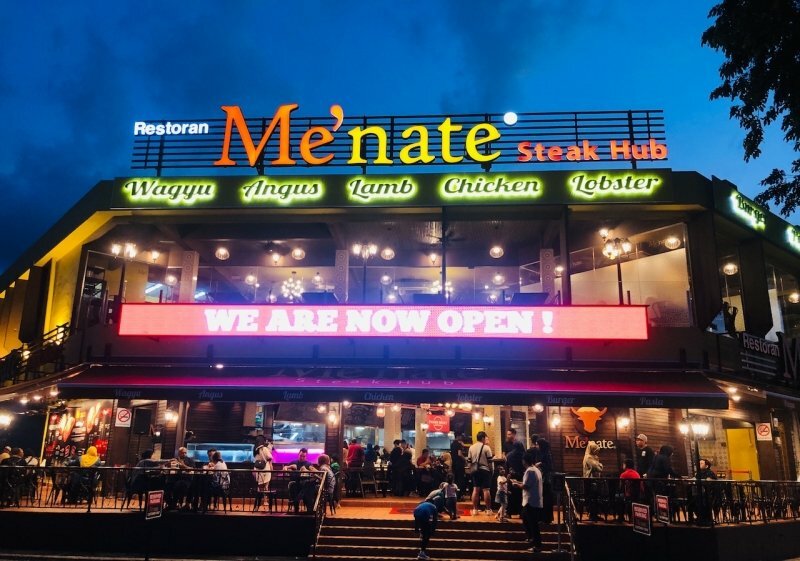 The name Me’nate Steak Hub may be familiar to some who have heard of its fame in Shah Alam or Ampang, where it originated in 2009. Ten years later on 19 January 2019, it’s finally open its doors in Johor Bahru to bless all Johorians and Singaporeans alike with their incredible selection of Western cuisine. 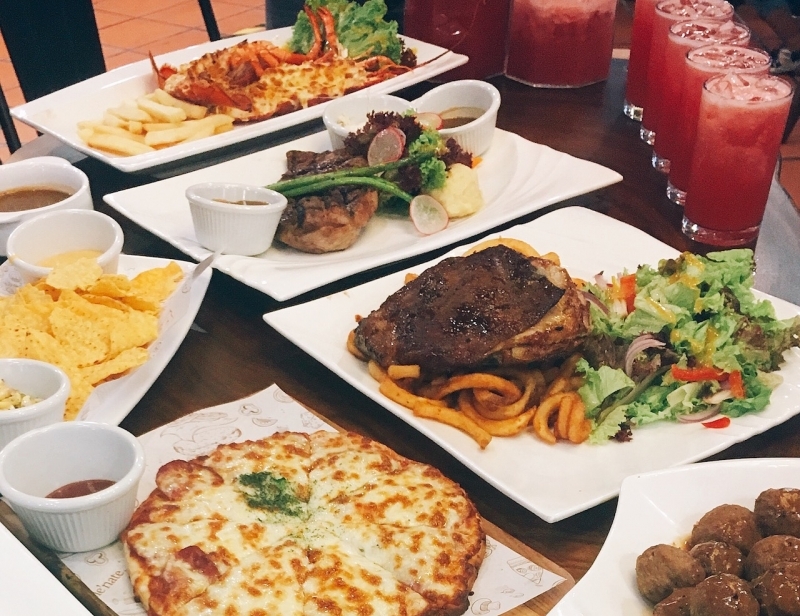 With a large variety of ribs, steaks, burgers, pasta and other Western favourites to choose from, it’s an ideal spot to have a hearty dinner before you end the day. Enjoy your delicious meal doubly with the welcoming atmosphere that the restaurant exudes, and you might even be entertained with live music in the evenings! 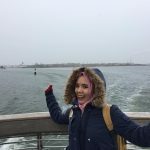 However, what truly sets this restaurant apart is that the customer gets to choose the cut of meat and lobster that will be prepared by their experienced chefs. If you’re not sure how to go about choosing meat, simply ask for advice from the restaurant staff. Though there isn’t a need to worry about getting the highest quality meat on your plate – expect no frozen meats here! 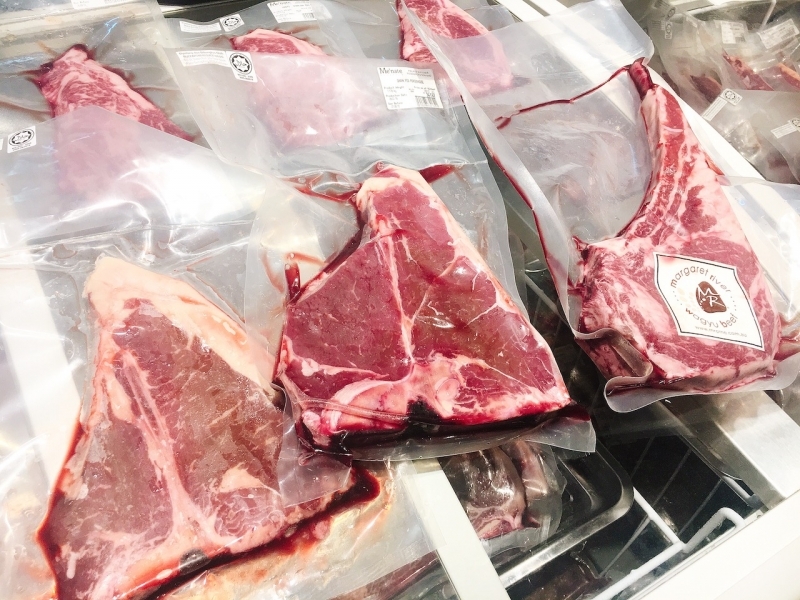 To ensure the freshness of the meat, all their finest meats are airflown in vacuum-sealed packs from Perth, Australia, before they’re chilled in Malaysia. If dinner has you in a food coma-like state, the best thing to do is to walk it off until you feel ready to take on the drive home. 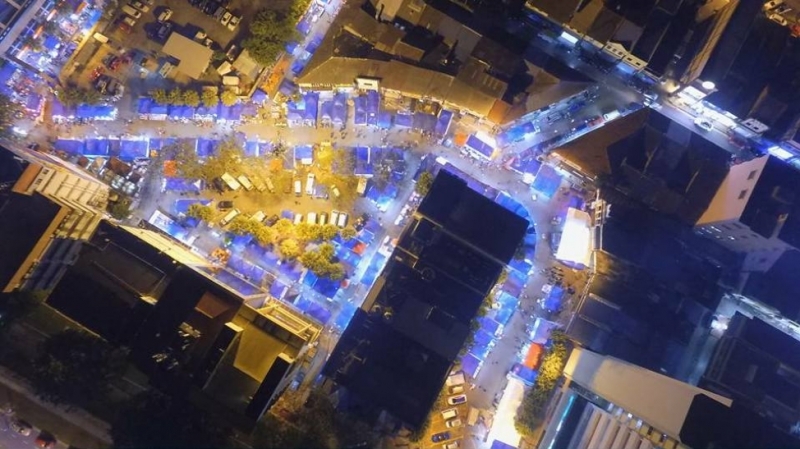 There’s perhaps no better place in JB to stroll around than the night market known as Bazaar Karat. Rows of brightly-lit stalls selling all kinds of knick-knacks and miscellaneous items line the streets, and something is bound to catch your eye as you walk down the road. So this March holidays or during your next free weekend, call up your family and friends, and bring them to experience somewhere new in Johor Bahru! Next ArticleWhat Does It Mean To Be A Modern Malay Muslim Woman?